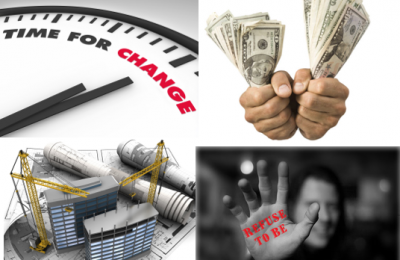 Quality, Consequences and the Construction Industrial Complex (part 170). 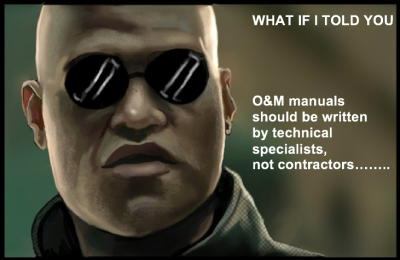 No, I am not talking about the death of acronyms, although that would be a great idea. 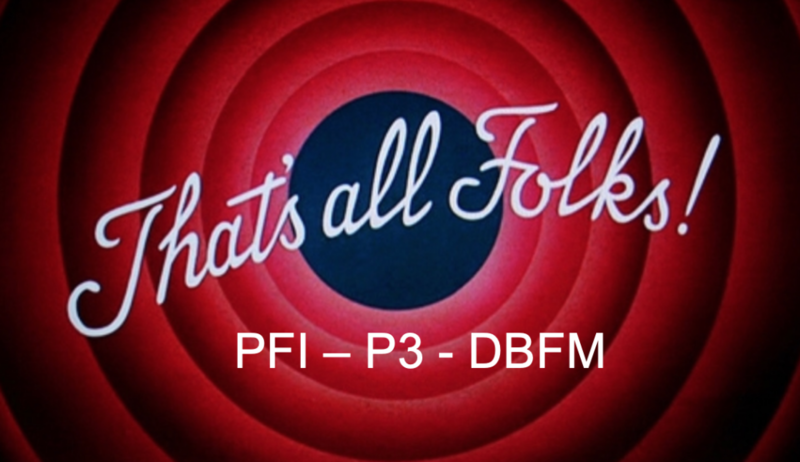 I am talking about the beginning of the end for PFI / P3 / DBFM. This is truly the end of an era in the UK that started in earnest with Tony Blairs government in the 1990’s and ended in the collapse of Carillion in 2018. To put this in context, the UK the Chancellor of the Exchequer was presenting an end of austerity budget i.e. the government will be opening the money spigot and stimulating the economy using money from the future or as it is commonly known, borrowing money they do not have. So, with the money spigots open, the UK government will not entertain PFI. Not exactly a vote of confidence in the PFI model of procurement. What will be the government procurement model for large capital projects going forwards, was not stated but this is the end for PFI in the UK. Australia was first, Canada is deeply in at the moment and the USA is just ramping up the PFI juggernaut. How long before, Australia, Canada and the USA do the same and ditch PFI? Building design firms will not miss PFI as they took massive risks for no reward premium. Well done guys! However, construction firms will miss PFI, it gave them an opportunity to own equity and become landlords with AAA tenants. However it was their own incompetence that lead to the “Carillion moment”. As an investor the cycle has turned and IMHO, this is a strong sell signal for construction firms. What next? – Maybe governmental PMO’s? Does this signal an end to the government infrastructure construction boom? – Yes, IMHO. What happens to the “Carillion’s” of the world now? – I think the weak players will go bust and the stronger firms will consolidate. 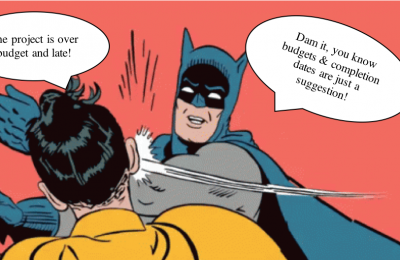 If your business model “drinks from the PFI spigot”, now is the time to make some strategic changes. Anyone have an idea on what comes next? IMHO, the next big opportunities lie in the existing building market.